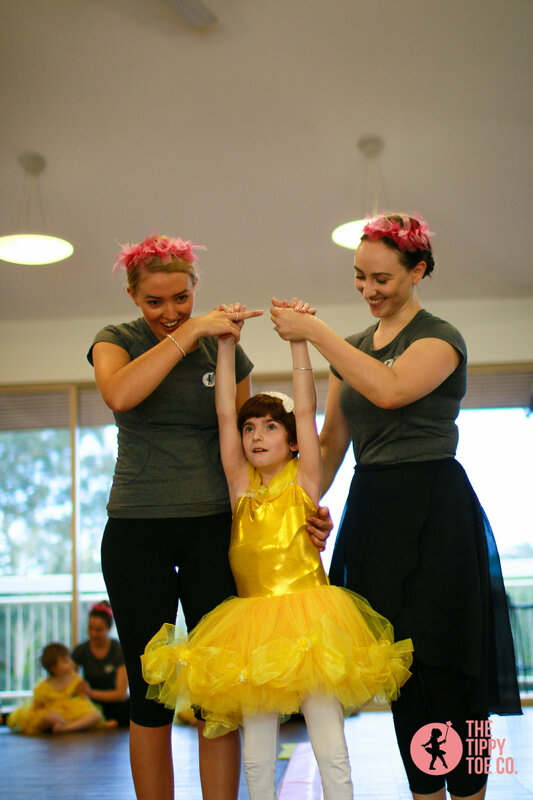 Our purpose built inclusive dance studio and curriculum has been developed and fine tuned over the last five years. 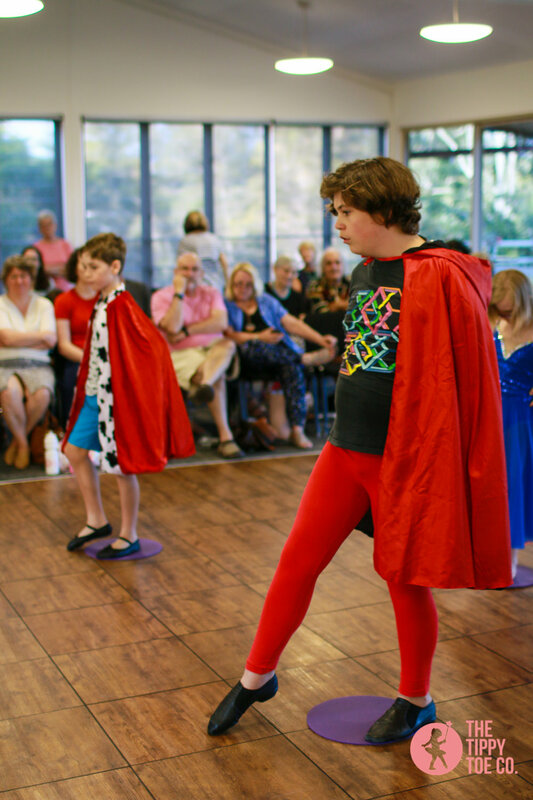 We have co-created this unique and highly engaging experience with the input and feedback of countless families, dance teachers and students. We look forward to welcoming you to one of our many dance classes. 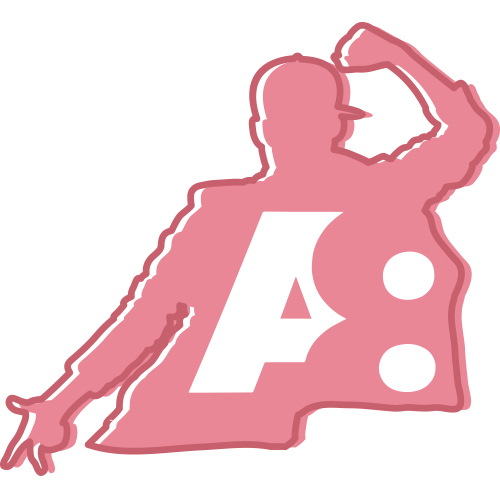 1:1 Private Dance Tuition with a qualified dance teacher - by appointment ($65 / 45 minutes). Where possible we encourage families to request a 1:2 class to foster a more social environment. 1:2 We pair two students of similar ability level - by appointment/EOI ($40 / 45 minutes). Group Class (up to 10 students and 5 teachers) - see timetable for current class times ($22.50 / 45 minute class). All of the class structures are included and involved in the end of year concert. 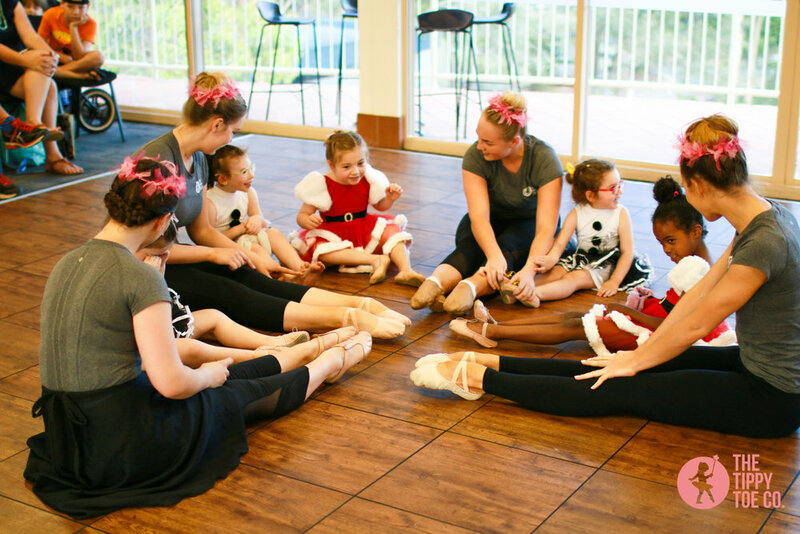 Tippy Toe Co. welcomes boys and girls aged 3-25 years old who love to dance! 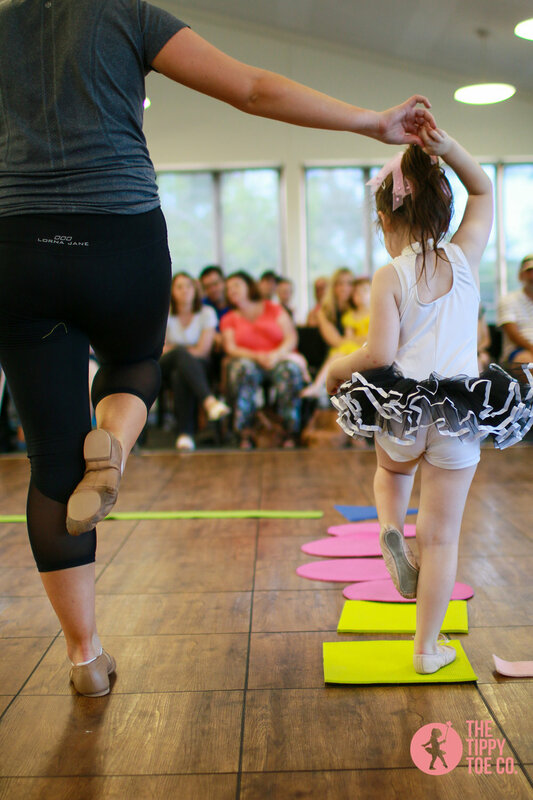 Our classes encourage motor-active skills, stamina, concentration, musical awareness, flexibility, expression, coordination and creativity. Our carefully constructed syllabus is regularly fine-tuned to fit individual and class requirements and incorporates engaging equipment and music. Parents, carers and family can enjoy watch the class with a coffee in hand from behind a one way mirror in the waiting room. For your first class wear something that makes your heart sing and is comfortable to move in - bare-feet is fine! A8 has a number of uniform options including leotards, skirts and dance shirts. We encourage families to consider purchasing our uniform to ensure students experience the dance philosophy.